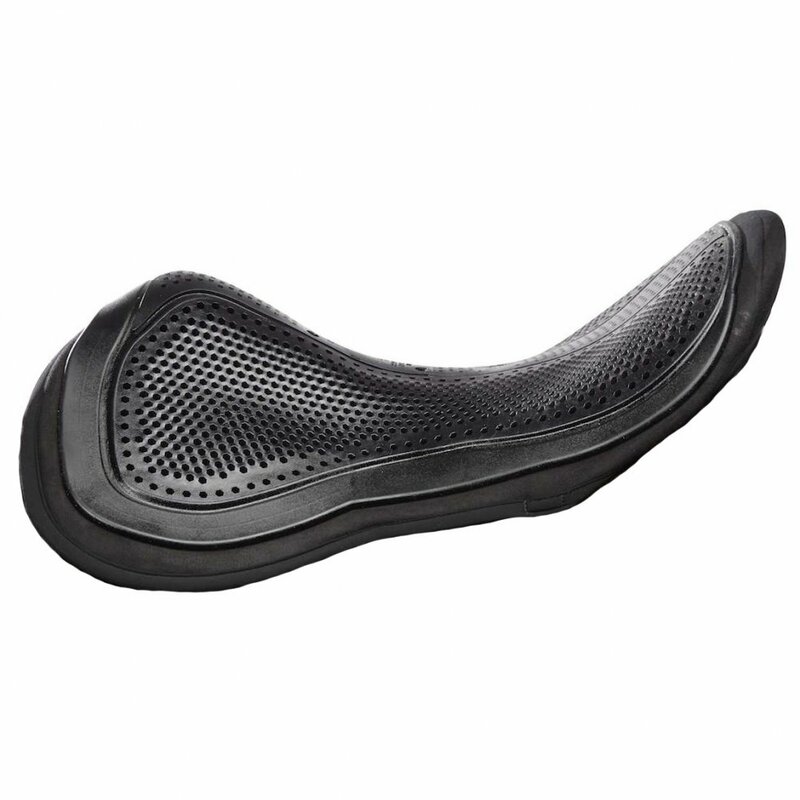 The Acavallo Gel Out Seat Saver is a revolutionary seat saver that offers both exceptional comfort and security in the saddle. Acavallo are renowned for their shock absorbing, non-slip, theraputic gel pads for horses, and the same technology is now available to riders. This gel seat saver supports the riders upper body, reducing concussion in the lower back and stabilising the seat bones whilst preventing any unneccesary movement. This seat saver helps to give a secure and stable seat, minimises bounce on big movers and can also improve control on naughty horses. This Acavallo Seat Saver is fully BD legal, discreet and easy to fit to any saddle. The Acavallo Gel Out Seat Saver helps the rider stay secure whilst jumping and hacking and aids a deep seat when schooling and during dressage.